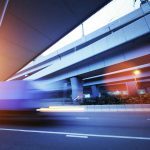 Over the last decade, lights on bridges have become a trend not only for traffic safety, but to enhance their architecture. This is especially wonderful during the holidays, a time when everything seems to sparkle just a little brighter. Lights are a great way to turn something utilitarian, like a bridge, into an asset that can brighten the everyday lives of residents, and in many cases, tourists. In this article, we’ll take a trip around the world to check out some cities that brighten their bridges with AMAZING light displays. Nighttime view of the Kosciuszko Bridge in New York City. New York City is famous for lighting things up in a BIG way. This is certainly the case when it comes to illuminating its landmark bridges. The city is rolling out a new light show that will coordinate displays on some of the city’s most famous bridges and tunnels with its landmark buildings, including the Empire State Building. 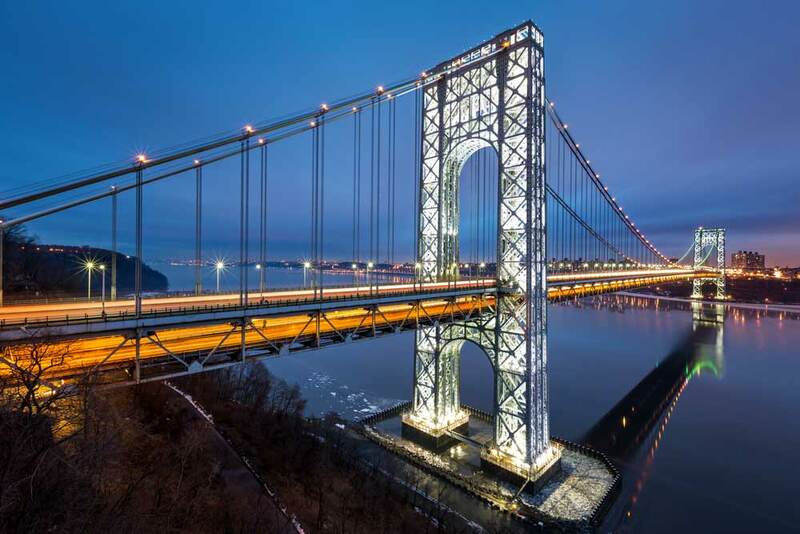 The project, known as New York Harbor of Lights, was launched at the opening of the new Kosciusko Bridge, the first major bridge construction project in the metro area in more than 50 years. At its opening, the LED light show was coordinated with music broadcast on several local radio stations, a practice that will continue for holidays and special commemorations in the future. 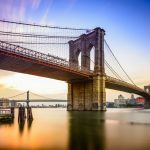 The program provides another reason for tourists to visit New York and explore different parts of the city: it is designed to be a symbol of unity and interconnectedness in the highly diverse metropolitan area. George Washington Bridge towers lighted on a “special” night. 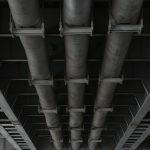 More than 750 light fixtures fastened to the interior of the art deco style steelwork are connected by more than 31 miles of wiring. The towers were lighted for the first time on July 4, 2000, and locals know it must be a special day whenever the towers glow from within at night. View of Tampa-Hillsborough Expressway Authority overpass at night. 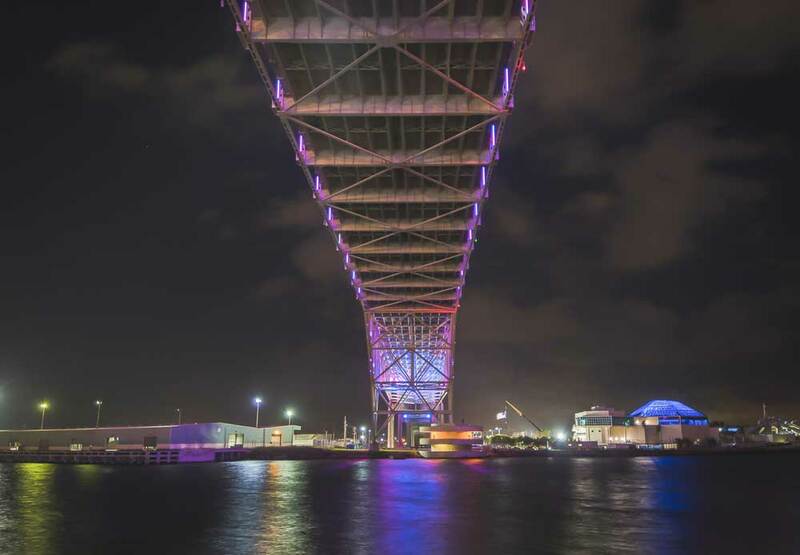 Another city that’s made a big commitment to lighting its bridges is Tampa. 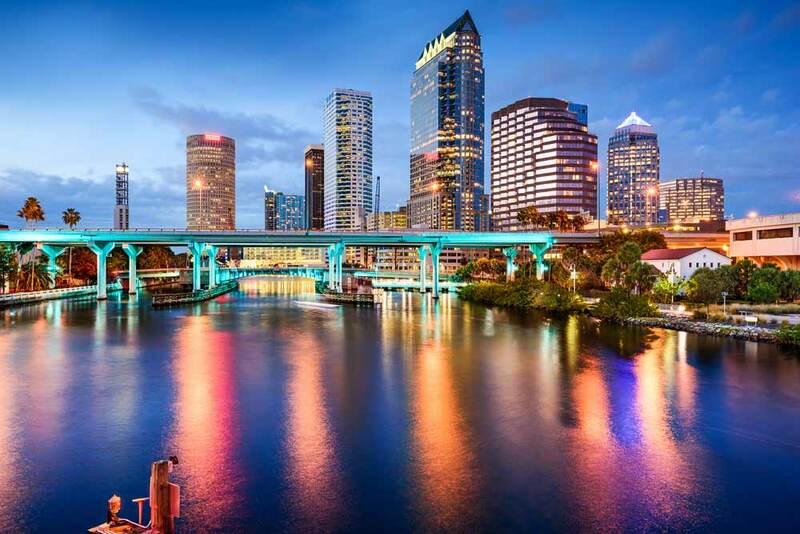 Its Lights on Tampa: Aqua Luces program is aiming to permanently light nine bridges in downtown Tampa. 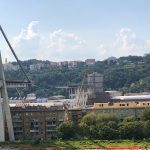 According to the city, five bridges are complete, with four more on the way. The best place to see the lights is from the Tampa Riverwalk or by boat, which provides a unique up-close view of the lights from under the structures. The displays are turned on a half hour prior to sunset and are turned off just before sunrise. They constantly change color throughout the night, making this an ever-changing spectacle. 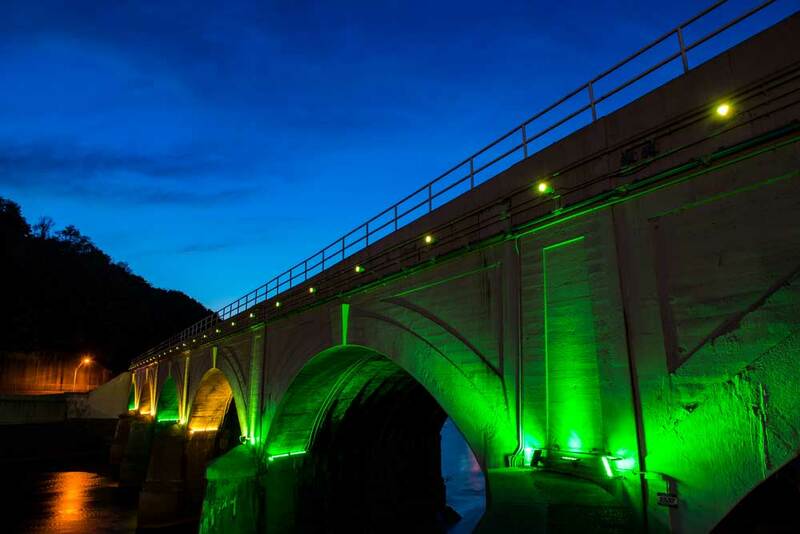 Stone Bridge glows with green light. 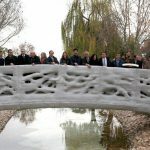 How do you refresh a 130-year-old stone bridge? Light it up, of course! That’s what the city of Johnstown did with its Stone Bridge over the Conemaugh River, which was built in 1887 by the Pennsylvania Railroad. 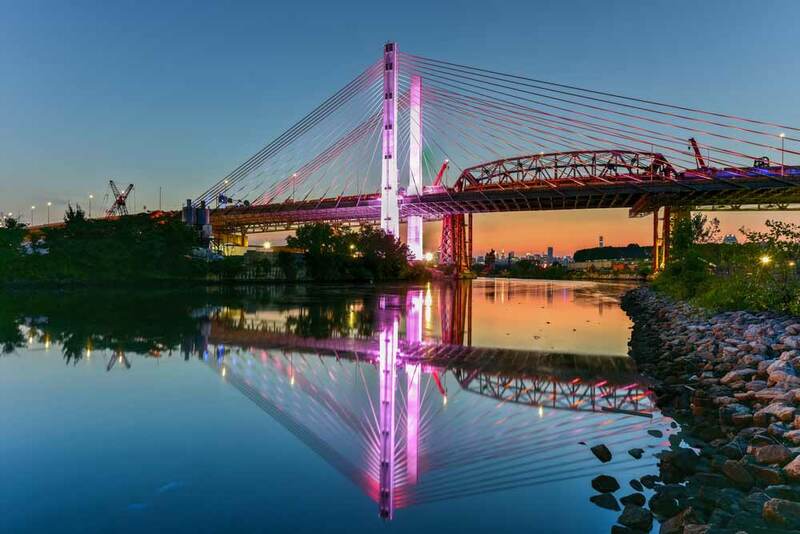 When the bridge was restored in 2008, an energy-efficient LED lighting system was installed that can project different colors in a range of intensities on the bridge, depending on the season. The spectacle is visible from Point Park and other locations in and around downtown Johnstown. 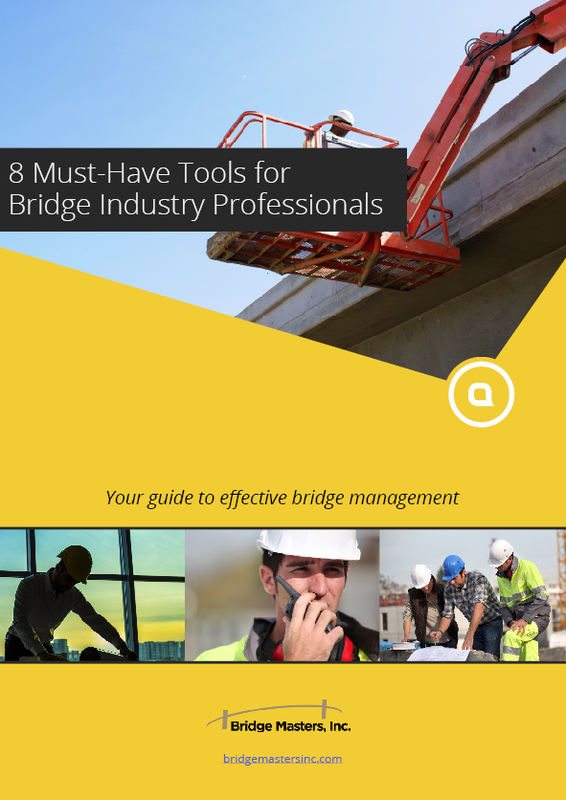 A local website includes a schedule of bridge lighting times and other information. 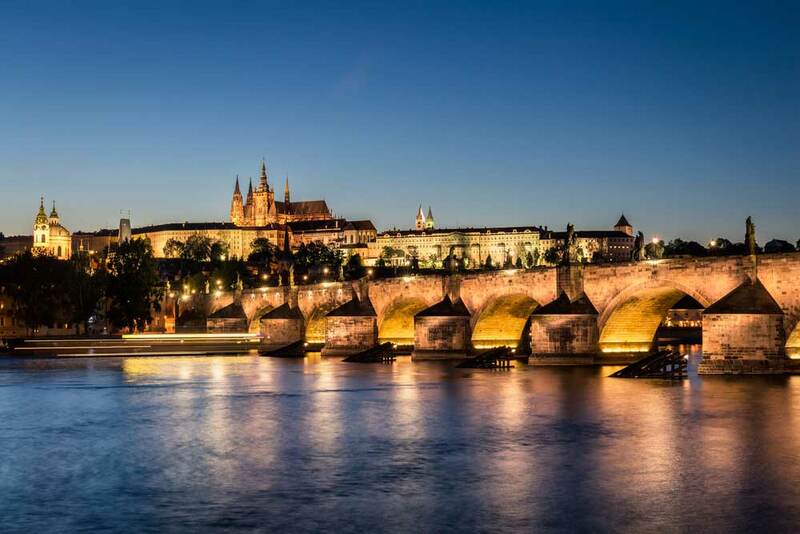 The Charles Bridge enhances the Prague cityscape at sunset. The Charles Bridge is an historic structure that crosses the Vltava River in Prague. It took almost a half century to construct and was completed near the beginning of the 15th century. The bridge is one of the most astonishing gothic structures anywhere, featuring 16 stone arches and 30 statues. 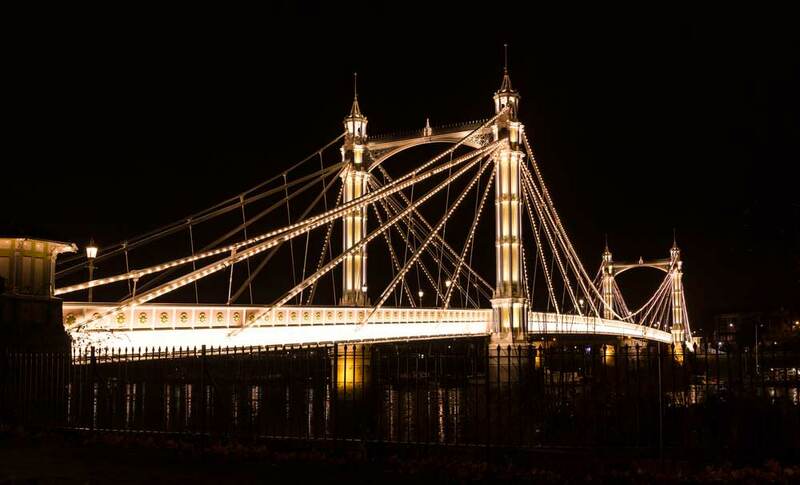 As part of a recent renovation that restored the structure to its authentic original appearance, lighting was added that makes the bridge as beautiful and dramatic at night as it is during the day. Corpus Christi Harbor Bridge at twilight. The Corpus Christi Harbor Bridge is a six-lane arch bridge located at the entrance to the city’s busy harbor. The structure was completed in 1959, and a new lighting system was unveiled during the holiday season in 2011. The dynamic, computer-controlled display is made up of more than 11,000 individual fixtures. Be aware: Time is limited to enjoy this spectacular show. The bridge is being replaced by a taller structure better able to handle large-scale vessels entering the harbor. 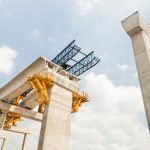 Work is expected to be completed in 2021. 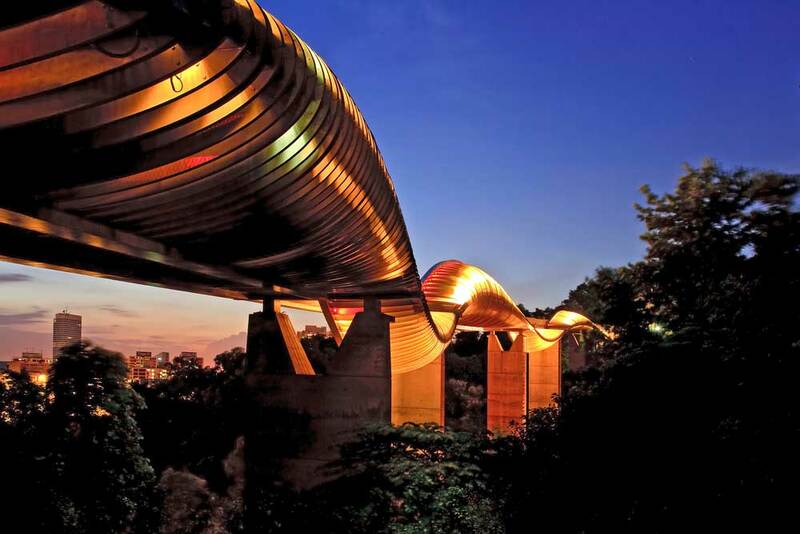 Plans for the new bridge include a more traditional, less dynamic architectural lighting system. 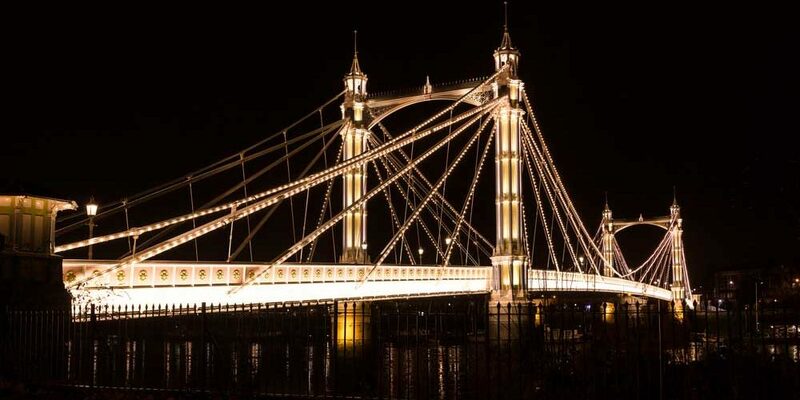 The impressively-intricate Albert Bridge illuminated at night. Not to be outdone by New York and other world capitals, the city of London is launching its own Illuminated River project, which will install a kinetic light show across all of central London’s bridges. 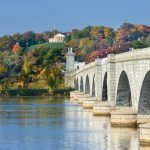 The effort is intended to recognize and celebrate the Thames River and the diverse communities that line it. The ambitious effort will include 17 new and historic structures. 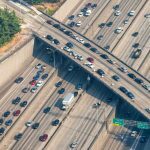 When completed, it will be the longest public art project in the world at 2.5 miles long. While the display will run all year, it will help brighten the river during the especially dark winter months. The initiative started with an international competition that attracted more than 100 design submissions. The winning entry, led by American light artist Leo Villareal and the London architects Lifschutz Davidson Sandilands, took the prize because they impressed the judges with their exciting kinetic play, along with their respect for the natural environment, local inhabitants, and the architectural character and history of the bridges. The winning scheme is a unified one, yet it respects the history and identity of each bridge and its setting. The project is being funded primarily through private sources. Early test of the Bay Lights installation. 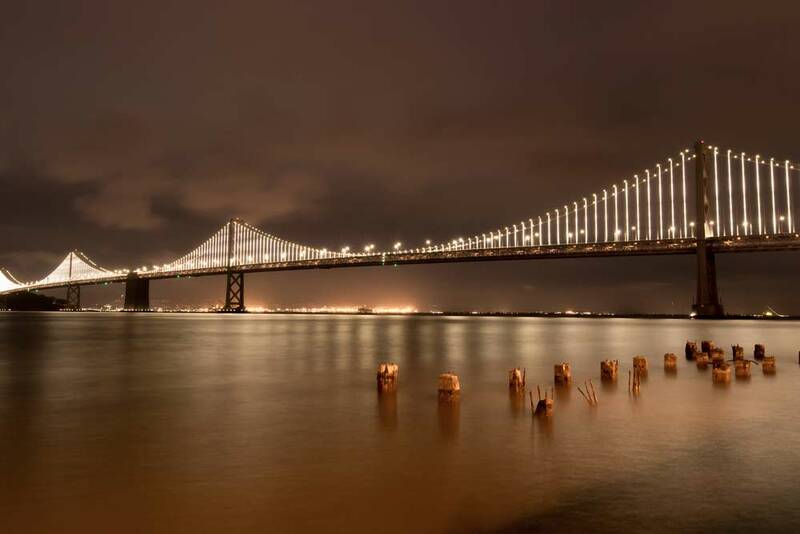 The Bay Lights was conceived as a temporary light sculpture and installation to celebrate the 75th anniversary of the San Francisco Oakland Bay Bridge in 2013. It proved to be so popular, it was re-installed as a permanent display in 2016. It was designed by artist Leo Villarreal (the winning designer of the London Illuminated River project). It includes 25,000 white LED lights that are controlled by computer. The changing light patterns never repeat, which means every viewing is a once-in-a-lifetime experience. The lights on the Henderson Waves Bridge provide a subtle glow from within. Some bridge lighting projects are all about kinetic energy and spectacle. Others are about form, function, and elegance. The Henderson Waves Bridge in Singapore is a perfect example of the latter. It’s curved wooden ribs protect pedestrians from the sun during the day. The lights placed between the ribs illuminate the night across the 900-foot span and transform it into an elegant floating wave. A view of Minneapolis and the I-35W Bridge at twilight. The I-35W Bridge collapse back in 2007 was a major tragedy. 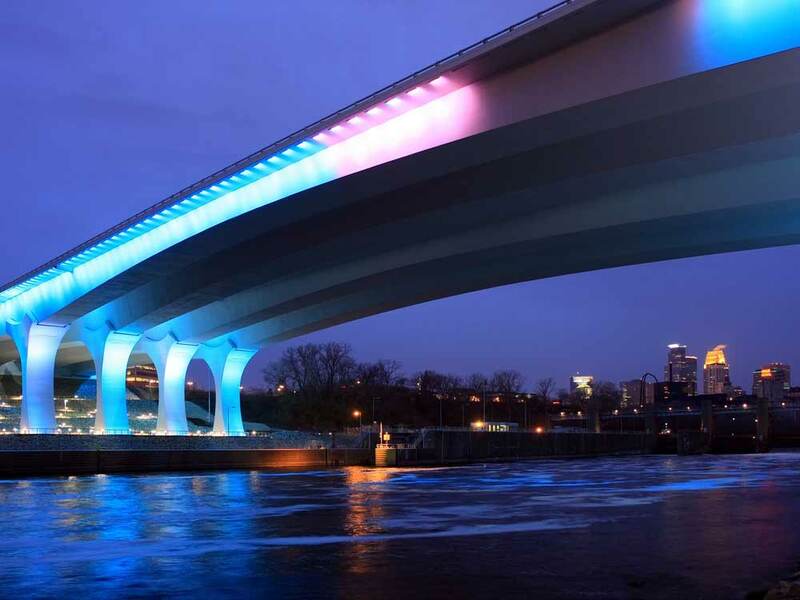 However, much like a phoenix rising from the ashes, the replacement for the fallen bridge has emerged as a brilliant inspiration at the heart of Minneapolis. The new bridge features an innovative LED system where each element can display any color in the spectrum individually. The bridge is often bathed in blue to complement the Mississippi River below. However, during the holidays and other special times of the year, it’s lit using colors to honor the occasion.